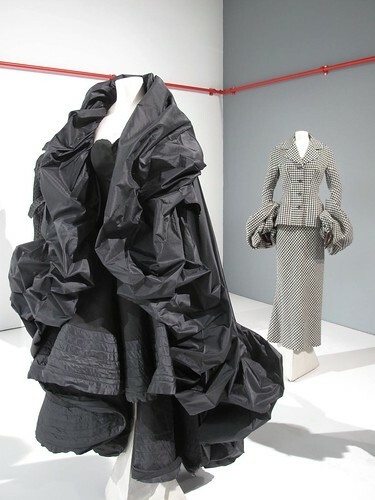 I saw this beautiful cape by Yohji Yamamoto in the FT las weekend, inspiring me to add to my notes on preferring to use wraps, shawls and capes as my wheelchair coverings: it allows me to continue to wear some of my favourite designers. I love the neckline on this as I like to snuggle under as I swathe the cape around me and my chair. I don’t bother trying to sit on the fabric, I just lay it across the back to keep my shoulders and D’s hands – when he’s pushing me – warm. Of course if you push yourself, the whole cape&drape thing doesn’t work so well. Yay, for once an advantage to being a power wheelchair user!